A second public hearing will be held Dec. 13 on a proposal to begin trustee-area elections for the five members of the Grossmont-Cuyamaca Community College District governing board. Following the hearing, the board is expected to approve a map showing the boundary areas that each of the five trustees will represent. The hearing will be held Tuesday, Dec. 13 at 6:30 p.m. at Griffin Gate at Grossmont College. A map of the college campus is available at www.grossmont.edu. A two-day seminar at Cuyamaca College offers students important lessons outside the traditional academic subjects. In this class, students at Grossmont and Cuyamaca colleges learn how to lead. The students invited to take part in the Community College Leadership Academy include student government representatives and others recommended by administrators. The free training is designed to help students develop their leadership and interpersonal communication skills through a curriculum created by the Ken Blanchard Company, nationally acclaimed authorities on leadership development. Sahar Abushaban, a community college alumna with a long career of public-education budgeting, is the Grossmont-Cuyamaca Community College District’s new associate vice chancellor of district business services charged with overseeing the district’s fiscal operations and budgeting. Hired by the district as a financial analyst in 2006 and serving as interim director of district business services for the past two years, Abushaban now also oversees categorical programs, such as CalWORKS and Veterans Education. Kitka, an Oakland-based group of American women vocalists who started in 1979 as grassroots amateurs sharing their passion for the distinctive traditional songs and vocal techniques of Balkan, Slavic and Caucasian women’s groups to become an internationally renowned professional ensemble, will kick off its Wintersongs Tour Dec. 1 at Cuyamaca College. The 7:30 p.m. performance at the Cuyamaca College Performing Arts Theater is $20 for general admission, $10 for students and seniors. The Granite Hills High School Choir will make a special guest appearance. Cuyamaca College is located at 900 Rancho San Diego Parkway in Rancho San Diego. For tickets, go to www.brownpapertickets.com or call (619) 660-4288. Grossmont College’s Hyde Art Gallery, located on campus, is now presenting “First Person Plural,” an exhibit of 48 photographs shot by 16 faculty and staff currently working in the Grossmont College photography program. The artists include Craig Carlson, Patricio Chavez, Andy Cross, Alison Elder, Suda House, Michele Iversen, Michael Mulno, Jim Noel, Judith Preston, Amanda Quintenz-Fiedler, Jacqueline Ramirez, Susan Richardson, Louise Russell, Aaron Serafino, Ryder Smith and Paul Turounet. “This outstanding body of work being shown represents the rich culture of the photographic arts developed over the college’s 50-year history,” said Ben Aubert, gallery curator. Admission to the exhibit is free. The exhibit closes Dec. 15. The Hyde Art Gallery is open from 10 a.m. to 6:30 p.m. on Mondays and Thursdays, and 10 a.m. to 8 p.m. on Tuesdays and Wednesdays. The Gallery is located in Building #25 across from Café 200. EL CAJON – Public hearings will be held Nov. 15 and Dec. 13 on the new areas being proposed for election of the five Governing Board members for the Grossmont-Cuyamaca Community College District. Trustees have been elected at-large by voters in the more than 1,100-square-mile East County district that stretches from the East County cities of El Cajon, La Mesa, Lemon Grove and Santee to the Imperial County line. Beginning in the 2012 elections, the district will be divided into five trustee areas and voters in those areas will elect a trustee to represent them. 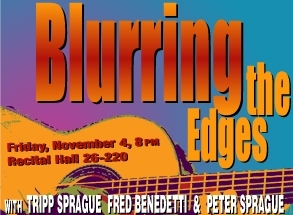 The Grossmont College Guitar Guild will present “Blurring the Edges,” a benefit concert for the Grossmont Guitar Guild Scholarship Fund featuring a performance by Grossmont College guitar instructor Fred Benedetti and cousins Peter Sprague on guitar and Tripp Sprague on saxophone, at 8 p.m. on Friday, Nov. 4, at the campus Recital Hall, Room #220, Building #26. The Grossmont College Music Department is proud to present the Grossmont College Gospel Choir and the Grossmont College Master Chorale in two concert performances this weekend, both scheduled to start at 7 p.m.
On Saturday, Oct. 29, the concert will be held at the Calvary Baptist Church of San Diego, 719 Caesar E. Chavez Parkway, San Diego. On Sunday, Oct. 30, the concert will be held at the Paradise Valley Seventh Day Adventist Church, 2701 East 8th St., National City. ﻿The Grossmont College Dance Department will present “Breaking Boundaries: Student Choreographers’ Showcase,” Thursday through Sunday, October 27 to 30, 2011. Evening performances on Thursday through Saturday will begin at 7:30 p.m. Matinee performances on Saturday and Sunday will begin at 2 p.m. All performances will be held in the Stagehouse Theatre on the Grossmont College campus. For John Thomas, working as a technician in Cuyamaca College’s Ornamental Horticulture department has never been just a 9-to-5 job. He’s represented the department at numerous events, including the Turf Management Seminar, the Sustainable Urban Landscape Conference, and the Aggie Open golf tournament. He’s spent countless hours preparing for the Spring Garden Festival, the annual event that draws more than 6,000 people to the Rancho San Diego campus. Thomas’ passion and enthusiasm for his job was recognized October 18 when he received the Grossmont-Cuyamaca Community College District Chancellor/Classified Senate Award, a commendation presented quarterly to outstanding staff. He was nominated by Brad Monroe, coordinator of the Ornamental Horticulture program. A new student club on the Grossmont College campus called the Vocal Recital Guild will host its inaugural concert at 4 p.m. Sunday, Oct. 23, at the campus Recital Hall, Room #220, Building #26. Tickets are $5 and available at the door. Martha Howe, an adjunct Music Department instructor, is proud to present a class of very talented performers. The theme for the concert is “From Opera to Broadway.” Selections will include “Dido and Aeneas,” by English Baroque composer Henry Purcell in 1689; Dank Sei Dir Herr by Georg Friederich Händel (1684-1759); “Patterns” from “Baby,” a musical written by David Shire that first ran on Broadway in 1983; and, “Someone’ Been Sending Me Flowers” by David Baker. Piano accompanist at the concert will be Sylvia Hartman. Members of the Vocal Recital Guild include music voice major students enrolled in a performance studies class taught by Howe, who has been appearing in opera and theater productions since a student at Point Loma High School in San Diego (class of 1969). She is a versatile singing actress who has performed with numerous opera companies and symphony orchestras throughout the United States, Canada and Austria. Howe lived and worked in New York from 1980 to 1994, and then lived in San Francisco, Paris and Vienna, until 2007. RANCHO SAN DIEGO – For those interested in a career within the “green” construction industry, Cuyamaca College is providing a three-week introductory course free to eligible students through a training program co-sponsored by the San Diego Workforce Partnership. The Introduction to Green Building Careers is funded through the State Energy Sector Partnership, an offshoot of the American Recovery and Reinvestment Act of 2009, and will help displaced workers, the long-term unemployed, new workers, military veterans, and older youths gain the skills to compete for jobs in the expanding green economy. 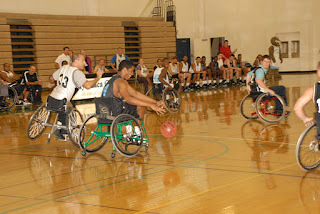 The always rousing wheelchair basketball game, where tumbles and spills are as much a part of the action as the pivoting and spinning of custom-built wheelchairs across the gym floor, is set for noon to 1 p.m. Wednesday, Oct. 26, at the Cuyamaca College gym as part of the college’s annual commemoration of National Disability Awareness Month. The game, in its 14th year, is being coordinated by the college’s Disabled Students Programs and Services office and men’s basketball coach Rob Wojtkowski. “Got Plans?” Career & College Fair for high school students and parents on Saturday, October 22, 2011, from 11 a.m. to 3 p.m. at Cuyamaca College. More than 6,000 students are expected to obtain information about post-secondary options at the fair, which is a partnership between the Grossmont Union High School District and the Grossmont-Cuyamaca Community College District. What’s so bad about counting your chickens before they are hatched? And what is a wolf in our sheep’s clothing anyway? Discover life lessons about our foibles, common sense and humanity at the Grossmont College Theatre Arts Department production of “Aesop’s Fables,” a whimsical production that highlights Aesop’s imaginative fables, at 7:30 p.m. on Friday, Oct. 21, and at 2 p.m. and 7:30 p.m. on Saturday, Oct. 22 at the Stagehouse Theatre on campus. The 15th annual Aggie Open, a golf tournament that benefits Cuyamaca College's ornamental horticulture department and its botanical society's scholarship fund, will be held Oct. 21 at the Bonita golf course. Registration is at 10:30 a.m. and tee time is noon. This event attracts more than 130 industry professionals from the landscape, golf and related green industries along with students from the Cuyamaca College Ornamental Horticulture Department. The four-person scramble is open to the public and is billed as a fun day on the links. The event includes lunch, dinner, golf and free range balls, along with other special activities on the course and during the awards dinner. More information here. The Grossmont College English Department’s Creative Writing Program will pay tribute to a deceased rock `n’ roll critic and former student as part of its Fall 2011 Reading Series. The third annual Lester Bangs Memorial Reading will be held at 7 p.m. on Wednesday, Oct. 19 in Building 26, Room 220, on the El Cajon campus. Admission is free and the public is invited to attend. The Grossmont College Symphony Orchestra will present “I Am Woman,” a performance featuring Anna Belaya, soprano, starting at 8 p.m. on Friday, Oct. 21, at the St. Joseph Catholic Cathedral, 1535 Third Ave., at Third Ave. and Beech St., in Downtown San Diego. The public is invited to attend. Admission is free, however a free-willing offering will be held. Selections will include: “Fanfare for the Uncommon Woman” by Joan Tower of New York; "The Four Temperaments,” by Danish composer Carl Nielsen; and, Symphony No. 3, also known as the Symphony of Sorrowful Songs, by Henryk Gorecki of Poland. It was just a few years ago that Joshua White decided to pursue his passion of playing jazz piano, spending hours listening to jazz greats like Herbie Hancock. But when White, 26, placed second in the prestigious Theolonius Monk International Jazz Competition in September 2011, it was Hancock who came to him offering praise following White’s performance at the Kennedy Center in Washington, D.C.
“He said I inspired him,” White said. White studied piano for years, but he said his two years at Grossmont College played an important role in his development as a musician. He majored in music theory and played in the Grossmont orchestra and the college’s music ensembles until he transferred to San Diego State University in 2005. The Grossmont College Career Center will host “Career Week” from Oct. 10 to 14. The theme of this year’s “Career Week” is “Your Road to Success.” The event will include workshops, clinics, presentations and panel discussions designed to provide information about career and industry trends and help students achieve their career goals. 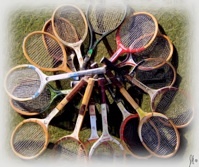 The Grossmont College women’s tennis team will host its third annual “Whites and Woods Doubles Tournament,” a fundraiser for the Grossmont College women’s tennis program, starting at 9 a.m. on Saturday, Oct. 8, at the Grossmont College tennis courts. Two veteran counselors who help pave the way for students at Grossmont and Cuyamaca colleges to transfer to four-year campuses have been given top faculty awards recognizing their dedication to the colleges and the students they assist. Janice Johnson is the recipient of Grossmont College’s Distinguished Faculty Award and Teresa McNeil has been honored with Cuyamaca’s first-ever Outstanding Faculty Member Award. 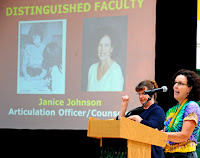 Both have the job title of “articulation officer,” working with colleges and universities to ensure the community college courses are a match with those offered at the four-year schools.. They also are arbiters for students, intervening on their behalf when transfer credits are challenged. The Hyde Art Gallery, located on the Grossmont College campus, is now presenting “Painting at the Hyde,” an exhibit through of 39 paintings by current Grossmont College Art Department faculty members, including Jennifer Bennett, Daphne Hill, Tom Lazzara, Bill Mosley and Michael Wheelden, as well as former faculty member Anna Stump and Ben Aubert, gallery curator. 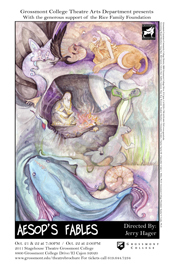 The artwork reflects the use of acrylic paints, oil on canvas and pen and ink drawings. An opening reception with the artists will be held from 7 to 9 p.m. on Tuesday, Oct. 4. Free parking is available in parking lot #1 on the evening of the opening reception. The exhibit closes on Thursday, Oct. 27. Admission is free. The Hyde Art Gallery is open from 10 a.m. to 6:30 p.m. on Mondays and Thursdays, and 10 a.m. to 8 p.m. on Tuesdays and Wednesdays. The Gallery is located in Building #25 across from Café 200. The Grossmont College Dance Department will present two classes with master class instructors on Saturday, Oct. 15 at the college’s main dance studio, Building #24, Room #271. A class on modern dance taught by John Malashock will be held from 11:30 a.m. to 1 p.m., followed by a class on salsa dancing taught by Michael John Saltus from 1:15 to 2:45 p.m. Cost to attend is $10 for one class or $18 for both classes. The classes are part of the Grossmont College Dance Department’s Fall 2011 Master Class Series. The members of the Windsor Hills Consort, a group dedicated to playing early music on period instruments, performed Sept. 27 at Cuyamaca College as part of the fall concert series. The group played baroque music composed by Georg Telemann (1681-1767), George Handel (1685-1759), Johann Quantz (1697-1773) and others. The members of the group are: Cathe Sobke, recorder; Ulla Sinz, recorder; Elizabeth Rose, treble, tenor and bass viols; Taylor Smith, bass viol; Margaret Gaillard, harpsichord; and Andrew Peterson, harpsichord. The next concert in the fall series will feature the Cuyamaca College Concert Band on Oct. 12. For more information, visit www.cuyamaca.edu/performingarts Mark your calendar! Assemblyman Marty Block gave his thoughts on California education and answered a wide range of questions about community colleges from students and faculty during a visit to Grossmont College on Tuesday. Block, chairman of the Assembly Higher Education Committee, was invited to the campus by Grossmont journalism professor Don Harrison. Block said that California community colleges still provide a quality education for students despite budget cuts that have limited the number of classes offered and raised student fees. Assemblyman Marty Block (D-78th), chairman of the Assembly’s Committee on Higher Education, will visit Grossmont College on Tuesday, Sept. 27 to participate in a special, on-campus panel and discuss the impacts of the state budget on Grossmont College. The hour-long meeting will begin at 11 a.m. in Building 26, Room 220. The public is invited to attend. Block, whose committee oversees all legislation affecting colleges and universities, will be questioned by a panel that will include: Sue Gonda, president of the Grossmont College Academic Senate; Russ Lindquist, editor of the Grossmont College Summit, the student newspaper; and, Marc Arizmendez, news director for Griffin Radio, the campus radio station. The event was organized and will be moderated by Donald H. Harrison, an adjunct journalism instructor who has covered Block in various capacities over his career. Block will be welcomed by Grossmont-Cuyamaca Community College District Chancellor Cindy L. Miles and Grossmont President Sunita Cooke. Check out the plays being performed this season at Grossmont College! The first show is on October 6. 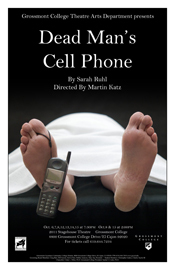 October 6, 7, 8, 12, 13, 14, 15 at 7:30pm October 8 & 15 at 2:00pm A café, a dead man, and a cell phone that won’t stop ringing. When Jean, a stranger from the next table, decides to answer it she sets in motion a chain of events that is, by turns, baffling, mysterious, comic, and grim. As Jean becomes involved with the dead man’s wife, mother, mistress and brother, she begins to suspect that her life will never be the same again. Author Cris Mazza, a San Diego native whose writings have been reviewed nationwide, will be speaking Oct. 12 at Grossmont College as part of its Fall 2011 Semester Reading Series sponsored by the college English Department’s Creative Writing Program. The Oct. 12 event will be held at 12:30 p.m. in Building 26, Room 220, on the El Cajon campus. Admission is free and the public is invited to attend. Mazza,, who now lives in Chicago, is a professor and director of the Program for Writers at the University of Illinois at Chicago. Mazza’s writings discuss the psychological and emotional complexities of life, as well as how a region’s society and culture impact the human experience, including sexuality, family, authority and gender. Her most recent novel, published in January, is “Various Men Who Knew Us as Girls,” is a story about a woman whose life changes when she decides to rescue a teenage Mexican prostitute. ﻿The fall concert series at Cuyamaca College opened Thursday night with a jazz performance by the Chuck Walker Trio. Walker, an instruction assistant at Cuyamaca's performing arts department, played guitar. He was joined by: Daniel Jackson on piano and tenor saxophone; vocalist Kasey Coe; Don Shaffer on trumpet; Bryan Gambell and Joe Trujillo playing upright bass, and Mark Cooper on drums. The audience, which included Cuyamaca College President Mark Zacovic, enjoyed a delightful evening in the main theater at Cuyamaca College's Communications Arts building. It's a beautiful venue with excellent acoustics. Be sure to check out the next performance in the concert series on Sept. 22 at 7:30 p.m. Miles Shrewsbery and Rahul Neuman will be performing North Indian classical music for tabla and sitar. Tickets are $8 for the public, and $5 for students and seniors. The Grossmont-Cuyamaca Community College District approved a $179 million budget for 2011-2012 that anticipates a $6.3 million cut in state funding this year. As a result of the state budget cuts, the spending plan passed by the governing board Tuesday night includes the elimination of 600 class sections this year at the district’s two colleges, Grossmont College in El Cajon and Cuyamaca College in Rancho San Diego. The class section cuts – part of a state-mandated “workload reduction” -- mean that about 2,300 students will be turned away this year at the colleges. The district has already cut 1,000 class sections over the past two years because of reductions in state funding. Grossmont College students and President Sunny Cooke (far left) remembered the 10th anniversary of the 9/11 terrorist attacks by planting an olive tree on campus on Sept. 13. Before the tree was planted, students wrote their thoughts and feelings on small cards and then tied the cards with ribbon to the branches of the tree. The students wrote about such topics as bravery, resilience, faith and freedom inspired by the Sept. 11, 2001 terrorist attacks on the World Trade Center in New York City, the Pentagon in Washington, D.C. and Flight 93. Grossmont College’s 9/11 memorial activities were planned by the Student Affairs Office and the Associated Students of Grossmont College, Inc.
At Cuyamaca College, students and staff remembered 9/11 by planting 2,998 small American flags in a space on campus -- each flag representing a victim of the attacks. Cuyamaca College President Mark Zacovic led a moment of silence in a ceremony on Sept. 12. Donald Walker, who served as chancellor of the Grossmont-Cuyamaca Community College District from 1983 to 1992, died Aug. 12 in Los Angeles at the age of 90. Read the Union-Tribune's obituary describing Walker as a brilliant educator who left his mark on the field. Sixty-one Grossmont College students were honored at the Fall Scholarship Awards Breakfast Sept. 10, with a total of $44,000 awarded. Recipients included 27 students who got Osher scholarships, and 34 other awards totaling $17,000. Each student has overcome adversity to reach their success -- including single parents, physical challenges or immigrants who have had to learn the English language. The event was presented by the Foundation for Grossmont and Cuyamaca Colleges and the Grossmont College Scholarship Department. These scholarships are competitive and based on a selection process established by the Grossmont College Scholarship Advisory Committee and any additional criteria established by the sponsor. Because of the power outage, all classes and student activities are cancelled Friday, September 9. Offices at the District and the Grossmont and Cuyamaca campuses are also closed on Friday. All student activities resume on Saturday, September 10. Offices will be open on Monday and classes will be held as scheduled. Want to have a voice in the future of East County’s community colleges? The Grossmont-Cuyamaca Community College District is in the midst of a yearlong effort to craft its educational master plan and wants to hear from the public it serves. A community forum is set for 7:30 a.m. Thursday, Sept. 22, in room I-207 of the Cuyamaca College Student Center to provide the public an opportunity to contribute to the long-range blueprint for the future of Grossmont and Cuyamaca Colleges, which together serve almost 30,000 students each year. The topics and ideas that crop up during the discussion will help shape the future of higher education in the East County in the next 15 to 20 years. “Fifty and Fantabulous” is the theme of the fundraising celebration that will be held Oct. 22 to celebrate Grossmont College’s 50th anniversary. Guests are encouraged to dress in the attire they may have worn as a college student, whether it’s the peace beads of the 1960s or the acid-washed jeans of the 1980s. The party will be held at Grossmont College’s Health and Sciences Complex, the newest building at the school’s El Cajon campus. The event is hosted by the Foundation for Grossmont and Cuyamaca Colleges, the recently-formed fundraising organization that supports students and educational programs at Grossmont and Cuyamaca colleges. The event starts at 5:30 p.m. on Saturday, Oct. 22, and tickets cost $175 per person. A new foundation that will strengthen fundraising for East County’s two community colleges has been established to better connect with alumni and broaden the sources of money coming in to support the schools. The Foundation for Grossmont and Cuyamaca Colleges continues the work of the two separate foundations at Grossmont College and Cuyamaca College to raise money for scholarships, facilities and college programs. “This foundation will make the best use of our resources and avoid duplication in the community as we expand our efforts to raise money for our students and provide them with a better education,” said Cindy L. Miles, chancellor of the Grossmont-Cuyamaca Community College District. As a first-generation college graduate, Mark Zacovic, Cuyamaca College’s new president, understands well the challenges facing students. As a finisher of several marathons, he also knows the value of tenacity and goal-setting. “Community college is still a great value for students looking to learn a new career and improve their lives,” said Zacovic, who began at Cuyamaca in July following a one-year post as executive vice president of instruction and student services at Victor Valley Community College in Victorville. The community is invited to meet Cuyamaca’s new top executive at a reception to be held at 5:30-8 p.m. Sept. 28 at the Water Conservation Garden at Cuyamaca College. To RSVP, call (619) 644-7569 or email jennifer.danks@gcccd.edu. Students from Grossmont College’s cardiovascular technology (CVT) program will provide free screenings for Peripheral Arterial Disease (PAD) from 8:30 a.m. to 12:30 p.m. on Tuesday, Sept. 20, at the Sharp Grossmont Hospital Senior Resource Center, Brier Patch campus, 9000 Wakarusa St., La Mesa. The screenings will test the arterial blood flow to the legs and blood pressure at the ankles and arms. Symptoms of PAD can include aching, cramping or pain in your legs after walking or exercising. An appointment is required for the free screening. To register, call 1-800-827-4277, or visit www.sharp.com. The bestselling book chronicles how the cells of Lacks, a poor, Southern, African-American woman who died of cancer in 1951, were used to grow human cells in the lab for the first time. The cells taken from Lacks were used without consent from her and her family, raising numerous ethical questions about medical research. Used in over 60,000 published studies, these cells have played a part in research on cancer, AIDS, and gene mapping, and led to many discoveries including the polio vaccine. 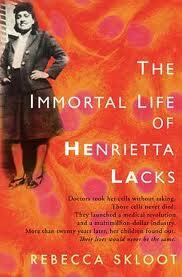 Today, as a lucrative industry has arisen around the culturing and sale of “HeLa” cells, the Lacks family still lives in poverty, still cannot afford adequate health care, and had only limited knowledge of “Hela” cells and their contributions to science and humanity, according to Tate Hurvitz, Grossmont College English professor overseeing the project. Hurvitz said 17 different departments at Grossmont are planning a variety of classroom assignments this fall ranging from essays and films for English students to culinary students preparing a Southern-style Henrietta Lacks menu. A Theatre Arts Dept. class has scheduled a book reading, and the college’s Speech and Debate team will hold a student debate on ethical issues. Art students are creating original artwork and chemistry students are learning about HeLa cells. Also, a campuswide essay contest is underway. Assisting Hurvitz in the project are Sue Jensen and Joan Ahrens from the Grossmont College English Dept. Details about the collaboration appears on the Grossmont College website homepage, www.grossmont.edu. The Grossmont-Cuyamaca Community College District is one of eight colleges and universities across the nation -- and the only community college district -- selected for an American Council on Education project to promote internationalization, diversity and multicultural education. The three-year project, “At Home in the World: Educating for Global Connections and Local Commitments,” is funded by the Henry Luce Foundation. The eight campuses were selected from among 54 applicants to explore ways to better prepare students for the impacts of globalization and to improve cultural communication skills among students, faculty and staff. It’s hard to believe that we’re already starting another academic year! I hope you had some time to relax this summer and see some new places, whether you took a “staycation” in beautiful San Diego County or got a chance to travel someplace new or special to you. I love to hike, and I took a trip to Northern California in July to explore the incredible Sierras. As I was enjoying the breathtaking scenery, it occurred to me that there are many similarities between a successful hiking trip and a successful community college district. Be prepared. Any experienced hiker knows that you can avoid much pain and discomfort by planning ahead – wearing good hiking shoes, putting on plenty of sunscreen, packing for weather changes, and bringing along lots of water. Good preparation is also vital for a college district, and our Governing Board and budget teams have ensured that we are ready no matter how rocky the path ahead may be. Our 2011-12 budget reflects the worst case projected by the state finance department if the remaining $4 billion state budget deficit is not filled by December 15. For us, this would mean $6.3 million in cuts over last year -- on top of $15 million in cuts we’ve had in the past two years. For the second time, an insurance instructor at Grossmont College’s Office Professional Training (OPT) program has been selected as Teacher of the Year by an insurance industry trade group. Bob Captain, an instructor at the El Cajon community college, was honored by the Independent Insurance Agents & Brokers of America. The trade group supports a classroom-to-career educational program called InVEST (Insurance Vocational Education Student Training), that also provides scholarships to Grossmont OPT students. Captain also was selected for the award in 2001. 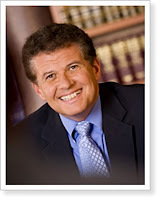 In 1990, Captain and other insurance professionals approached Grossmont College about adding an insurance component to the OPT program, which began in 1985. Captain worked with faculty members to design an insurance curriculum, which was added to OPT in 1991.